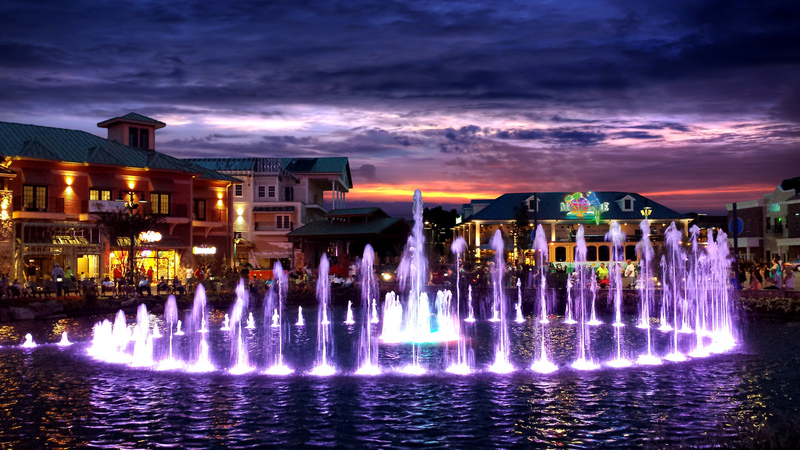 The Island in Pigeon Forge is a family-friendly shopping and entertainment center with numerous attractions, games, eateries and shops. The Island boasts more than 60 retailers and specialty shops. You’ll also find restaurants and food stands, kids games and some special attractions, as well as stages and venues for live music and seasonal celebrations. The Island complex is just 2 blocks off of Parkway, close to Light #3, at 131 The Island Drive in Pigeon Forge, with plenty of free parking. Pets are allowed on the property although not necessarily in the individual venues. The Island is a nice place to hang out, with benches by the fountains to sit and, in the evening, watch the light show. When it comes to shopping, there’s something for everyone at The Island, including spa treatments at St. Somewhere Spa, a full-service spa offering tropically inspired treatments such as like massages, facials, pedicures, manicures, and more. You can also get your hair and makeup done, or come in with your spouse for a couples massage. See more about this spa in our feature on Local and In-Cabin Spa Treatments. The Island easily facilitates an all-day shopping affair as there’s no need to leave when your tummy starts to rumble. Once you park your vehicle, everything – including breakfast, lunch, dinner, drinks, and snacks – is within walking distance. Hungry for a home-cooked meal? You can’t go wrong with one of the flagship restaurants at The Island: Paula Deen’s Family Kitchen. Prefer a margarita with that burger? Margaritaville is right around the corner. Explore a unique blend of rides, games, challenges, and other attractions. Whether your goal is to relax and unwind or awaken the thrill-seeker within you, The Island has something to match your taste. The Great Smoky Mountain Wheel is the centerpiece of the Island, a 200-foot high observation wheel. The glass-enclosed gondolas are climate controlled and can take up to eight guests (four in the VIP gondolas). 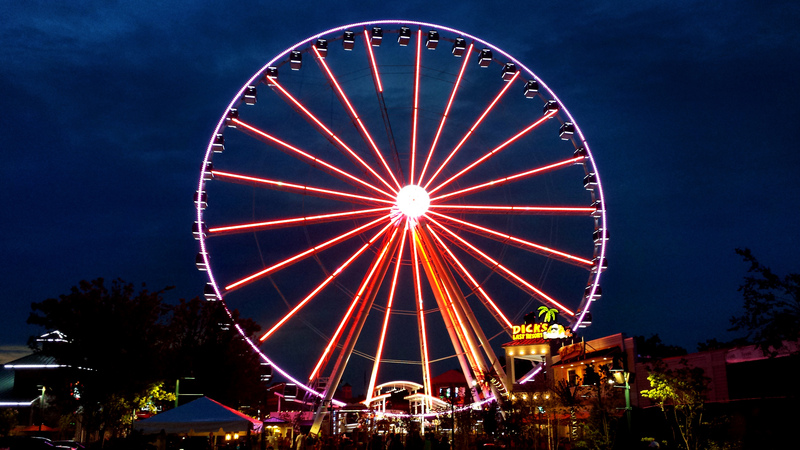 The Wheel offers a cozy yet inspiring way to treat the family to a unique view of the Smoky Mountains in any season – also a nice touch on a date. Alcatraz East Crime Museum– For the mystery-buff in you! At The Island, teens and adults will find a variety of eclectic shopping opportunities — from clothing, jewelry, and cosmetics to souvenirs and handmade artwork. For children under 12, rides, games, and amusement attractions provide hours of wholesome enjoyment and a great day of fun. The Island also knows how to throw a party, with seasonal decorations, celebrations and very often free shows and special treats throughout the year. For more information about the shopping and entertainment, check online at The Island in Pigeon Forge. And wherever you go for shopping or entertainment in the area, nothing is very far from our Gatlinburg cabin rentals, Pigeon Forge cabins, and Wears Valley cabins.